A certain time comes in every man’s life when he’s demanded to start dressing his age. No more sweat suits, plain t-shirts, and ripped jeans. What’s needed is a complete wardrobe overhaul. Decades ago, a man was expected to start wearing suits and men’s neckties. Luckily, times have become a tad more casual, so a necktie isn’t a necessity anymore. However, no one expected that the absence of one accessory would lead to an uprise of a completely different one. Neckties paved the way for magnetic collar stays. Magnetic Collar Stays Are Essential? The moment neckties stopped being essential, a very particular problem arose. Without them, collars started behaving all floppy and sloppy. The obvious solution was, of course, to button up the shirts completely. But who wants to look like a schoolboy? Even though the era we’re living in is a bit more casual, no one really wants to have a collar which acts as if it has a life of its own. So, you get why magnetic collar stays have become essential. Needless to say, collar stays aren’t designed for everybody. If your a sporty person who seldom wears formal clothing including plain and classic white shirts, magnetic collar stays, or collar bones, won’t be of much interest to you. However, if you’re aim is to dress like a proper gentleman, you’ll certainly find this piece of male accessory to be absolutely necessary. Do I even care about the state of my collar? Some men really don’t care if their clothes give away a certain nonchalant look and that’s fine. How much do I invest in my shirts? Truth be told, if you save a bit more money, you could get yourself a really decent shirt which already comes with sewn-in collar stays of sorts. Metal or plastic? Wurkin Stiffs magnetic collar stays are, of course, made from metal. If you’re in a “saving-the-planet mode”, I’m guessing you’ll choose the metal collar stays over the plastic ones. The Wurkin Stiffs magnetic collar stays work on the very simple principle of magnetism. The reason why they had decided to opt for metal collar stays over the plastic ones is that the latter don’t provide enough support, weight, and are oftentimes quite flimsy. As a man who invests money, time, and attention to his collars, you don’t want flimsiness, don’t you? If your collar stays journey has just begun, before you start experimenting with different materials like brass or even gold, plastic ones are a good place to start. 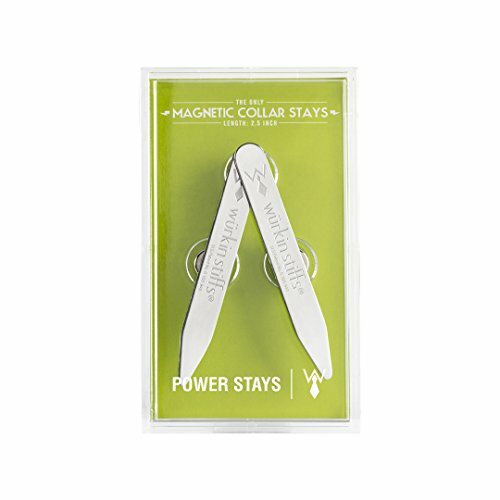 My opinion is that these magnetic collar stays are aimed towards men who have already found their look and know what they want from their collars. So, what are the pros and cons of Wurkin Stiffs magnetic collar stays ? The first thing you should know about these magnetic collar stays is that they are made from corrosion-resistant surgical alloy. 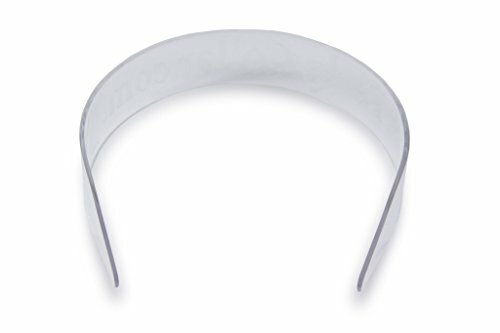 Unlike the plastic ones, these will never act flimsy because of their incredibly firm nature, meaning that your collar will be looking sharp throughout the whole day. Moreover, these collar stays are made from a TSA approved material! That means that it’s time to say goodbye to those unpleasant “please step aside” airport situations. Mounting these collar stays takes less time than putting on bowties for men. You just slide them into the designated pockets in your collar and insert the power magnetic buttons underneath your shirt and you’re basically good to go! The thing that amazed me the most about this particular product is just how strong the magnets are. Having said that, I was simultaneously surprised to find out that after a couple of hours of usage, the magnets did manage to move a bit. Now, I’m not saying that’s a problem with which is hard to cope, but when the magnets leave their original position, the comfort of wearing them gets affected. Additionally, if you’re used to wearing regular old collar stays which don’t rely on magnets to stay in place, I guarantee you’ll lose at least a couple of power magnet buttons during your first month of usage. Sure, it’s arguable whether we should accredit that problem to the manufacturer or the user. Either way, it’s not the most intuitive patent ever patented. Since not all collars are the same, there can’t be a single universal collar stay size to fit them all. That’s why Wurkin Stiffs offer various value packages. For a beginner collar stay wearer, I suggest settling for a simple 2.5-inch two-pack. Apart from the fact that two stays are more than enough for a beginner wearer, the 2.5-inch version is the most commonly used one with which you’d have the least trouble. If you’re an experienced wearer, on the other hand, Wurkin Stiffs also sells six-packs. The box includes three different pairs of collar stays for you to use on different occasions. Included are both 2-inch, 2.5-inch, as well as 2.75-inch magnetic collar stay pairs. However, all of these packs aren’t the cheapest ones on the market, not by a far. The aforementioned six-pack, for example, will cost you $40. Paying that much for a visible accessory with which you can really show off, like cufflinks for men, is somewhat understandable. But are these hidden tiny bits of metal really worth that much money? I’ll let you be the judge of that. To put in perspective just how pricey the Wurkin Stiffs magnetic collar stays are, here’s what Smooth Stays has to offer for $30 less. You’ve read it right, you get 36 metal collar stays for only $11! These come in all sizes and are made from premium stainless steel! Needless to say, they perform as well as the magnetic collar stays do. Atop of that, you get a neat little plastic box for them as well. 36 STAINLESS STEEL COLLAR STAYS- Made of uncoated, durable stainless steel, our set 36 of collar stays won’t rust, bend or break. VARIOUS SIZES- Choose the correct size collar stay for the best fit. Let’s push things even further. 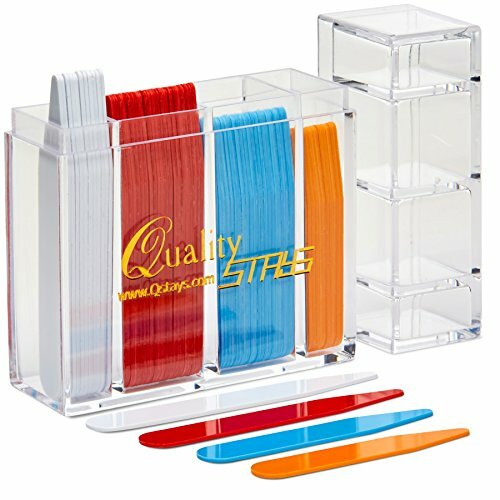 How about 100 collar stays for $7.95? These are plastic ones, but in case you’re a fan of colorful accessories, why not go for them? 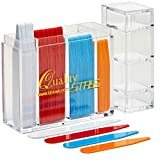 The package includes a nice divided box for your stays of different colors and sizes just to help you organize them with much more ease. Kudos to Quality Stays . Moving on to something a bit different. If for some reason you’re not a massive fan of regular collar stays, maybe the Perky Collar will work better for you. I personally find this item too bulky and uncomfortable to wear but some people do enjoy it. It would set you back a reasonable $25 but whether you’d get good value for money with it, it’s up to you to decide. 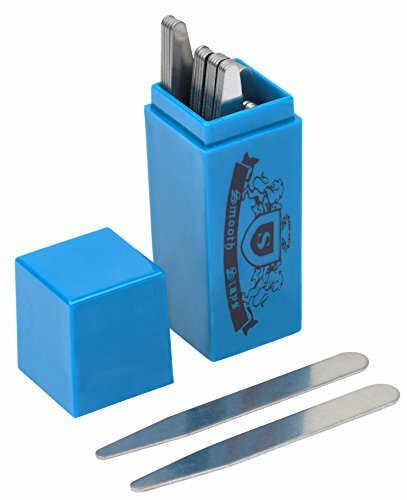 When I take everything into consideration, I think I would recommend the Wurkin Stiffs magnetic collar stays to people. If they are willing to spend that much money on them, that is. You see, they do work rather brilliantly and the idea behind them is applaudable. Also, they truly are solidly built and you get an impression that they’ll last you a lifetime. However, I’m not sure I’m able to answer the question whether they’re worth as much as they run for. Once again, that’s on you to decide. All in all, I’d advise you to check them out. Who knows, maybe they’ll end up changing your life for the better!